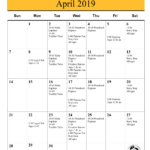 The Flagstaff public library has released its calendar of events for April 2019 for both the downtown and East Flagstaff locations. See more upcoming Flagstaff regional events for families here…. Northern Arizona Home Health presents a presentation on Cold & Flu on November 9th from 2:00 pm – 3:00 pm at the Peaks Bistro! 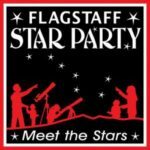 Flagstaff hosts the annual Flagstaff Star Party – Meet the Stars! to bring dark sky experiences to Flagstaff residents and visitors from across the Southwest and around the world. Get an opportunity to participate in a ‘kids’ yoga class. Dress in yoga clothes and come prepared to move, laugh and take home tools to get you started, including a manual. In honor of Asteroid Day on June 30, 2016, Meteor Crater will host an all-day celebration featuring arts and crafts, a costume contest, an educational movie screening and other fun activities the whole family can enjoy.